The most crucial game of the last round was a loss of Hotshots (0-1) in Makati on Sunday night. Visitors were defeated by TNT Ka Tropa (3-3) 80-75. 26 personal fouls committed by Hotshots helped opponents get some easy free throw opportunities. It was a great evening for Roger-Ray Pogoy (189-92) who led his team to a victory scoring 26 points and 8 rebounds. point guard Jayson Castro-William (180-86) helped adding 24 points, 5 rebounds and 4 assists. The best for the losing side was point guard Jiovani Jalalon (175-92) with 12 points, 8 rebounds and 8 assists. Both coaches used bench players in such tough game. TNT Ka Tropa will have a break next round, and it should allow them to practice more before next game. Hotshots will play at home against SM Beermen (#7) and hope to get finally their first victory. Columbian Dyip (#4) was upset in Manila by Ginebra Kings 97-85. It was an exceptional evening for center Greg Slaughter (216-88) who led the winners with a double-double by scoring 22 points, 12 rebounds and 5 assists (went 8 for 8 at the free throw line). Earl-Scottie Thompson accounted for 9 points, 14 rebounds and 5 assists. Guard Jaymar Perez (188-93) came up with 25 points and 7 rebounds for Columbian Dyip in the defeat. Both coaches tested many bench players which allowed the starters a little rest for the next games. Ginebra Kings will play against Blackwater Elite (#10) in Caloocan City in the next round which should be theoretically an easy game. Columbian Dyip will play on the road against Meralco Bolts (#9) in Manila and hopes to get back on the winning track. Phoenix (4-0) had no problems winning another game on Friday. This time they crushed Blackwater Elite (1-3) in Caloocan City 114-95. The best player for the winners was Calvin Abueva who had a double-double by scoring 22 points, 14 rebounds and 4 assists. At the other side the best for losing team was Abu-Jahal Tratter who recorded 24 points and 8 rebounds. Both coaches allowed to play bench players saving starting five for next games. Phoenix will meet at home NLEX RW (#6) in the next round which should be theoretically an easy game. Blackwater Elite will play against Ginebra Kings (#5) in Manila and hope to win that game. The game in Manila was also worth to mention about. Rain or Shine (4-1) played at the court of SM Beermen (2-3). Rain or Shine defeated SM Beermen 108-98. It was a good game for Javee Mocon who led his team to a victory with a double-double by scoring 18 points, 17 rebounds and 4 assists. Both coaches allowed to play bench players saving starting five for next games. Rain or Shine's next round opponent will be Phoenix in Quezon and it will be for sure the game of the week. SM Beermen will play at home against Blackwater Elite (#10) and hope to win that game. In the last two games of round 3 Meralco Bolts lost to NLEX RW on the opponent's court 83-87. Winless Alaska Aces unfortunately lost to Rain or Shine in a home game 72-85. There was a minor upset in Makati City where Meralco Bolts (2-3) were defeated by NLEX RW (2-3) 87-83. They made 16-of-21 charity shots (76.2 percent) during the game. NLEX RW players were unselfish on offense dishing 21 assists. They brought some defensive toughness making 7 blocks. 24 personal fouls committed by Meralco Bolts helped opponents get some easy free throw opportunities. It was a good game for power forward John-Paul Erram (203-89) who led his team to a victory with 12 points, 8 rebounds, 7 assists and 5 blocks. 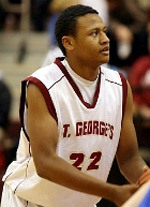 JR Quinahan (198-84) contributed with 16 points for the winners. Four NLEX RW players scored in double figures. Naturalized American Clifford Hodge (196-88, college: Hawaii Pacific) answered with 6 points, 17 rebounds and 4 assists and naturalized American swingman Jared Dillinger (195-84, college: Hawaii) added 16 points and 6 rebounds in the effort for Meralco Bolts. Both coaches allowed to play bench players in such tough game. NLEX RW's next round opponent will be Phoenix in Quezon and it will be quite challenging to get another victory. The most crucial game of the last round was a loss of Hotshots (0-1) in Makati on Sunday night. Visitors were defeated by TNT Ka Tropa (3-3) 80-75. 26 personal fouls committed by Hotshots helped opponents get some easy free throw opportunities. It was a great evening for Roger-Ray Pogoy (189-92) who led his team to a victory scoring 26 points and 8 rebounds. Point guard Jayson Castro-William (180-86) helped adding 24 points, 5 rebounds and 4 assists. The best for the losing side was point guard Jiovani Jalalon (175-92) with 12 points, 8 rebounds and 8 assists and power forward Ian-Paul Sangalang (201-91) scored 15 points and 9 rebounds. Both coaches used bench players in such tough game. TNT Ka Tropa will have a break next round, and it should allow them to practice more before next game. Hotshots will play at home against SM Beermen (#7) and hope to get finally their first victory. The game in Manila was also worth to mention about. Rain or Shine (4-1) played at the court of SM Beermen (2-3). Rain or Shine defeated SM Beermen 108-98. Rain or Shine players were unselfish on offense dishing 24 assists. 28 personal fouls committed by SM Beermen helped opponents get some easy free throw opportunities. It was a good game for Javee Mocon (193-95) who led his team to a victory with a double-double by scoring 18 points, 17 rebounds and 4 assists. James Yap (190-82) contributed with 21 points for the winners. Center June-Mar Fajardo (210-89) answered with a double-double by scoring 24 points, 14 rebounds, 4 assists and 4 blocks and naturalized American swingman Marcio Lassiter (190-87, college: CS Fullerton) added 27 points and 5 rebounds in the effort for SM Beermen. 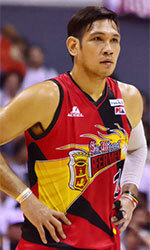 Five SM Beermen players scored in double figures. Both coaches allowed to play bench players saving starting five for next games. Rain or Shine's next round opponent will be Phoenix in Quezon and it will be for sure the game of the week. SM Beermen will play at home against Blackwater Elite (#10) and hope to win that game. Very predictable result in Makati where Rain or Shine (4-1) defeated Alaska Aces (0-1) 85-72. Rain or Shine had a 44-30 advantage in offensive rebounds. 31 personal fouls committed by Alaska Aces helped opponents get some easy free throw opportunities. It was a good game for guard Maverick Ahanmisi (188-91, college: Minnesota) who led his team to a victory with 8 points, 14 rebounds, 5 assists and 4 steals. Beau Belga (198-86) contributed with 11 points, 6 rebounds and 5 assists for the winners. Guard Jeron-Alvin Teng (190-94) answered with 15 points and 6 rebounds and Jake-Elvin Pascual (192-88) added 12 points and 9 rebounds in the effort for Alaska Aces. Both coaches allowed to play bench players saving starting five for next games. Rain or Shine's next round opponent will be Phoenix in Quezon and it will be for sure the game of the week. Alaska Aces will play on the road against Blackwater Elite (#10) in Caloocan City and look forward to get finally their first victory. Columbian Dyip (#4) was upset in Manila by Ginebra Kings 97-85. They made 21-of-24 charity shots (87.5 percent) during the game, while Columbian Dyip only scored five points from the stripe. They outrebounded Columbian Dyip 58-37 including a 46-21 advantage in defensive rebounds. Ginebra Kings players were unselfish on offense dishing 32 assists comparing to just 16 passes made by Columbian Dyip's players. It was an exceptional evening for center Greg Slaughter (216-88) who led the winners with a double-double by scoring 22 points, 12 rebounds and 5 assists (went 8 for 8 at the free throw line). Guard Earl-Scottie Thompson (188-93) accounted for 9 points, 14 rebounds and 5 assists for the winning side. Four Ginebra Kings players scored in double figures. Guard Jaymar Perez (188-93) came up with 25 points and 7 rebounds and forward Jackson Corpuz (193-89) added 20 points, 6 rebounds and 4 assists respectively for Columbian Dyip in the defeat. Both coaches tested many bench players which allowed the starters a little rest for the next games. Ginebra Kings will play against Blackwater Elite (#10) in Caloocan City in the next round which should be theoretically an easy game. Columbian Dyip will play on the road against Meralco Bolts (#9) in Manila and hopes to get back on the winning track. Phoenix (4-0) had no problems winning another game on Friday. This time they crushed Blackwater Elite (1-3) in Caloocan City 114-95. Phoenix had a 43-30 advantage in offensive rebounds. They looked well-organized offensively handing out 29 assists. The best player for the winners was naturalized American forward Calvin Abueva (190-88) who had a double-double by scoring 22 points, 14 rebounds and 4 assists. Naturalized Canadian guard Matthew Wright (193-91, college: St.Bonaventure) chipped in 19 points, 7 rebounds, 7 assists and 5 steals. At the other side the best for losing team was international forward Abu-Jahal Tratter (196-93) who recorded 24 points and 8 rebounds and forward Rey-Mark Belo (191-93) added 13 points, 9 rebounds and 4 assists respectively. Five Phoenix and four Blackwater Elite players scored in double figures. Both coaches allowed to play bench players saving starting five for next games. Phoenix will meet at home NLEX RW (#6) in the next round which should be theoretically an easy game. Blackwater Elite will play against Ginebra Kings (#5) in Manila and hope to win that game.